The incredible thing about the gardens at Dewstow House is that they lay buried for many years before being ‘rediscovered’ in 2000. Careful removal of the surplus topsoil revealed one of the masterpieces of landscaping created by James Pulham and Son, which have now thankfully been almost completely restored, and are a ‘must see’ destination for all Pulham enthusiasts. The gardens were created for their owner, Henry Roger Keene Oakley, in two stages – one in the South Garden c1895, and the other in the North Garden c1912. They consisted of a series of ‘compartmented’ gardens, including an Italian Garden, a swimming pool – complete with a summerhouse and pump house for circulating the water – a Lily Pond, Duck Pond, grottoes, gazebo, a cascading stream and a sunken Bog Garden, from which a subterranean Pulhamite-lined tunnel runs back to the lawns in front of the house. 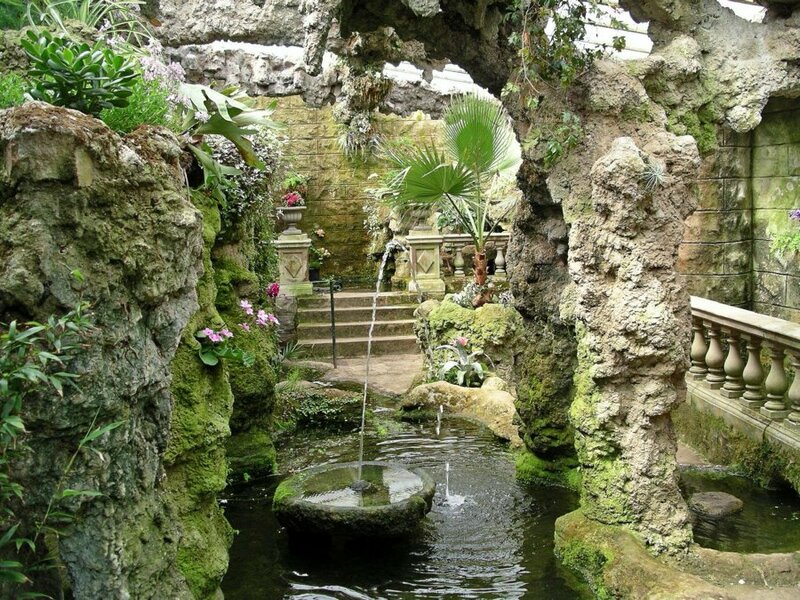 The North Garden dates from c1912, where the main features are a Root Garden, Alpine Garden, and a spectacular series of underground fernery grottoes that really need to be seen to be believed. 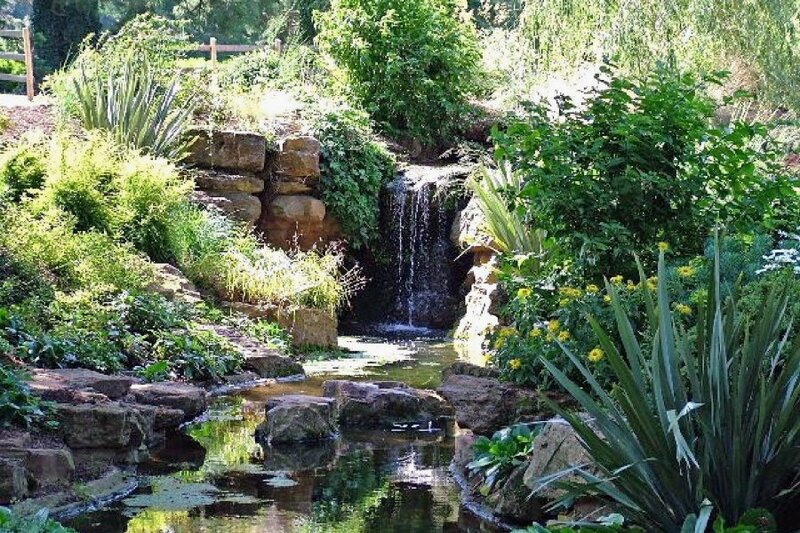 Posted on September 7, 2014 June 27, 2016 by Claude HitchingPosted in Book ContentsTagged . . James Pulham and Son, alpine garden, Clauee Hitching, Dewstow House - Vaerwent, Duck Pond, Gazebo, Henry Roger Keene Oakley, Lily Pond, Rock Landscapes: The Pulham Legacy, Subterranean fern grottoes.